When creating a retail store concept, lighting design is one of the most crucial elements in determining the store’s potential success as well as its attractiveness. Apart from illuminating objects, lighting effects can also dramatically enhance the atmosphere of a space. Additionally, extensive research has proven that lighting has a definite influence on the mood of a room’s occupants, and can significantly influence buying behaviour. The most well-designed retail stores around the world therefore, include careful planning when it comes to lighting to ensure that their products on display are effectively lit, that the overall look and feel of the store aligns with the brand’s image, and most importantly, that the store feels welcoming to customers. To achieve this, it is essential to select the appropriate amount of lighting fixtures and place them strategically around a retail environment to create a sophisticated yet harmonious atmosphere. By using light dimmers, colour-tuning techniques, and light-manipulation in a skillful manner, the appeal of an interior space can be vastly improved. Energy savings can also be easily perceived - based on unique calculation techniques quantifying the amount of brightness necessary for the human eye to find a space visually comfortable - while effectively reducing the amount of lighting fixtures required. The latest lighting technologies offer advanced techniques for increasing the appeal of an interior space, such as Panasonic’s High-CRI LED lighting devices. These lighting devices come with colour rendering properties close to sunlight (Ra100), showing objects in their truest colours. This is a particularly vital point for retail stores as up to 85 per cent of shoppers place colour as a primary reason for their decision to purchase a product. Ensuring that your visual merchandising is as beautifully and naturally lit as possible will therefore have a deeply positive impact on your customer’s purchases. Ambient lighting is usually the main source of lighting for the store, and should be fitted in to ensure that customers have enough general light to navigate around. Task and accent lighting techniques are more focused, and work best to highlight certain areas that retailers want to bring attention to, for example, store entrances or above window displays. Decorative lighting on the other hand is usually placed to add sophistication and aesthetic appeal, and techniques can include experimenting with different light bulbs colours and fixtures. 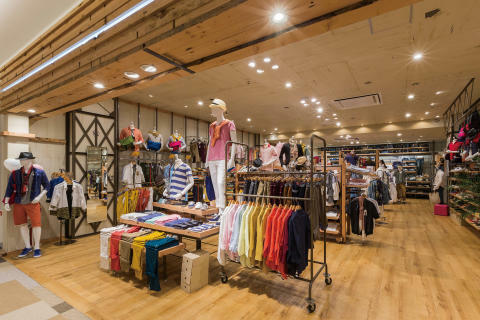 Panasonic’s award-winning One Core Type LED  light fixtures is another product that is especially beneficial for retail stores. Adopting integrated LED technology, these lights drastically eliminate the unnatural multiple shadow effects generated by conventional multi-point LEDs while strengthening the appearance of scallops to produce a uniform light with a sharper, cleaner shadow. The One-Core LED has one of the highest consumption efficiency levels in the industry , guaranteeing significant savings on costs while maintaining top quality and brightness. By employing these technologies and executing a strategic lighting plan, retailers can create a vastly superior retail environment that is at once highly appealing, energy-efficient, and effective for sales. These solutions, and more, are available at the Panasonic Lighting Solutions Center in Jakarta, our showroom catering especially to retail and service professionals in Indonesia. To find out more about how Panasonic can help you with planning or enhancing your retail lighting design, visit us at our showroom today. Panasonic’s One Core Type LED Down Light received the Nikkei Sangyo Shimbun Award in the 2011 Nikkei Superior Products and Services Awards. A recent Trip Advisor survey cited by the International Ecotourism Club found that 79 percent of travellers feel it's important that "accommodation providers have eco-friendly practices." Explore how Indonesia is showing the way forward with a few noteworthy eco-friendly resorts. Advancements in technology have enabled the development of lighting as an automated function within a room or home to adjust to prevailing conditions, hence improving energy efficiency. Here's a look at how smart lighting could benefit living spaces.